When you are in the business of organizing tours and travels of people, it is very important that you have the adequate exposure and virtual presence to make your business grow by the day and the night. The best way to do so is with the help of travel agency website templates and with Multipurpose Hotel & Travel Booking Site Templates. These Top 9 Hotel & Travel Booking Site Templates are very easy to use. The templates will boost your business by a large margin and make it capture more and more market share with each passing day. 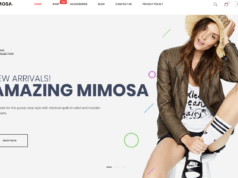 The templates are customizable in terms of color, designs, and fonts which make them top rated. 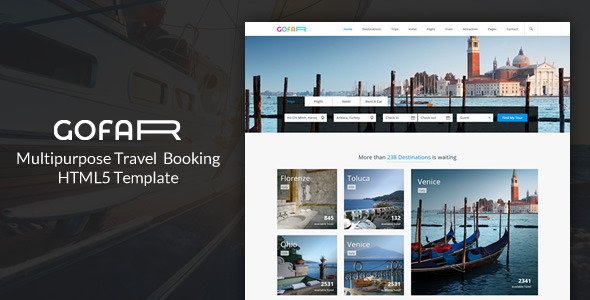 Gofar – Travel Booking Site Template is an ideal solution for travel agencies and tour companies or any travel-related websites. It has a unique booking form which will help your customers remember your company, and the advanced search feature allows customers to find tour packages that best meet their own preferences. The clean and modern design will present your destination’s best spots in a grid, block or list view. Being fully responsive, Gofar is the right choice for everyone looking to create professional and mobile-friendly travel websites with ease. 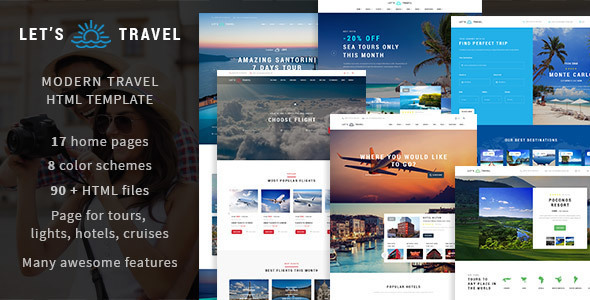 BookawesomeTip is a beautifully crafted, lively and modern HTML5 template specially designed for travel agencies. 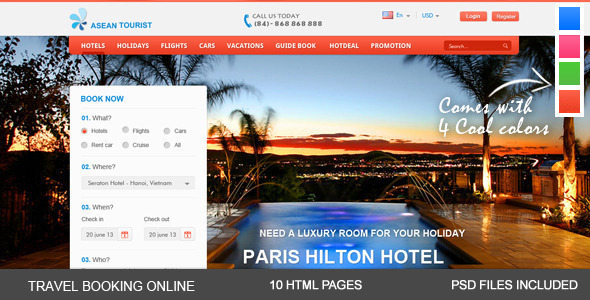 It is the best Travel Booking Site HTML5 Template. It has never been easier and more convenient for visitors to experience their online ventures with a bunch of detail and helpful features: booking tour, hotel, flight, services, package deals. 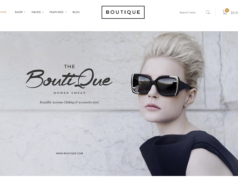 It is extremely responsive and resizes its layout smoothly on different kinds of devices such as computers, smartphones, tablets and iPhone to provide visitors a great viewing experience. 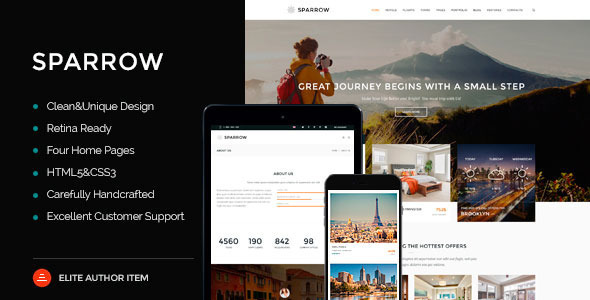 Sparrow Travel Online Booking Site Template is a clean and complete online Travel Booking HTML5 Responsive Template suitable for companies, travel agencies that provide services for tourists. Sparrow can be used to provide general city attractions information, buy tickets, tours, tour guides, hotels. 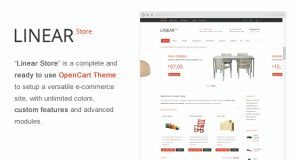 Based on HTML5/CSS3 with responsive techniques. It can be used also for Real Estate websites or for a blog website with portfolio pages. 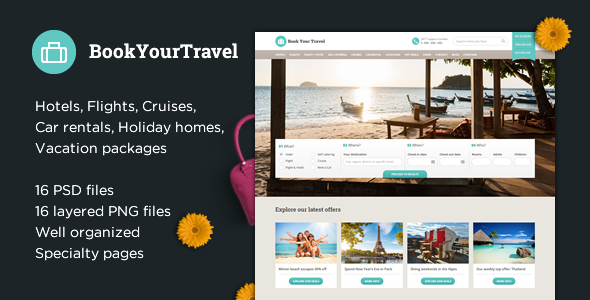 WonderTrip – Travel & Hotel Booking Site Template can be used to showcase the features of a single hotel and can be easily customized for a travel agency featuring multiple hotels. People love traveling and think everybody else does it too, that’s why WonderTrip, a high quality responsive HTML5 template is designed to suite the needs of a modern hotel or travel agency. 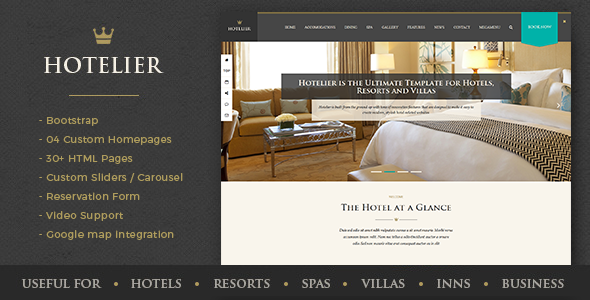 Hotelier is a thoroughly modern and stylish Hotel & Travel Booking Site Template that has its roots as a hotel-related theme, but is flexible enough to be used for multiple purposes: hotels, resorts, inns, bed and breakfast, villas and spas to name a few. It can also be effectively used for many business sectors. 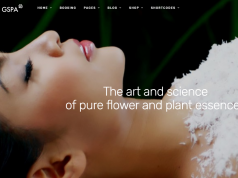 The elements are all there and can easily be configured to create your own uniquely beautiful website. 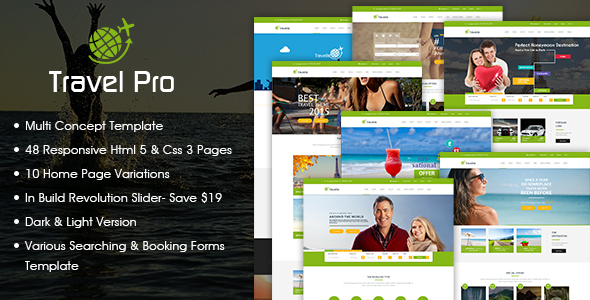 TravePro is a amazing Tours & Travels Booking Site Template which is suitable for Travel and Tour business, booking tickets & portfolio website. 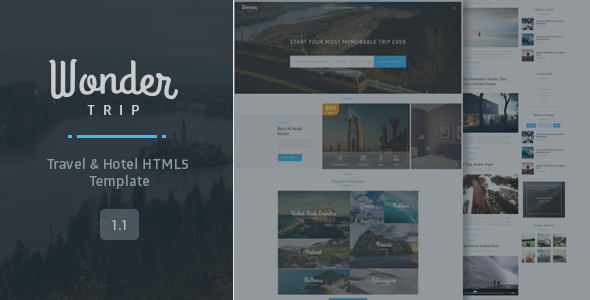 It comes with 48 Valid HTML5 & CSS3 Pages based on Twitter Bootstrap grid system. BookYourTravel – Online Travel Booking Templtate is a PSD Template ideal for booking portals, travel agencies, hotels, bed and breakfasts, guest houses, villas, etc. or travel blogs, but it would suit for any business with slight customizations. 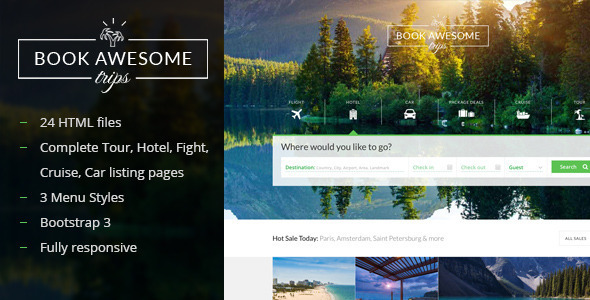 aTourist is a Hotel, Travel Booking Site template is a template designed with keeping usability in focus. It is a ten page Site Template. 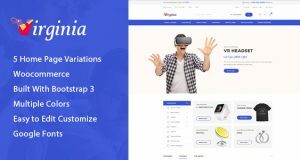 This HTML template is simple looking and yet it makes your website look unique in its own way. This template is suitable for Hotels, restaurants, travel, holiday, villas, motels and other booking related businesses.